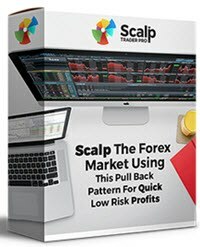 Read & submit reviews for Scalp Trader Pro EA forex robot by Doug Price. Have you tried this forex robot? If so please tell us some information about the type of forex broker account you ran it on and if it worked for you? Have You Tried This Forex Robot? How did this automated forex robot work out for you? Happy with it? Or maybe a disaster? We would love to hear your real life experience with this expert advisor. Your comments will appear on a Web page exactly the way you enter it here. You can wrap a word in square brackets to make it appear bold. For example [my comments] would show as my comments on the Web page containing your comments. Also, please include as much details as you can as "Specific details" will assist others to understand more clearly your experience with this robot. For example it is better to say "this robot made ten consecutive winning trades", rather than just say "It's great" or "It's bad" if it made ten consecutive losing trades. Do you have a chart to add? Great! Click the button and find it on your computer. Then select it. Visit our forex robot testing page here. Forex trading involves substantial risk of loss. Read disclaimer here. (C) Copyright 2009 - 2019 Brainyforex. All Rights Reserved.